I have a friend who spanks her kids. She has told me about her system. While I don’t use physical discipline on my children, I try not to judge the way she parents her kids. The issue is this: My 5-year-old has seen this in action at a play date at her house, and he is now very afraid of this mom. What should I do? It sounds like you were able to talk to your 5-year-old about his fear in experiencing another parent spanking their child. Your son is picking up on something that makes him uncomfortable. We want our kids to trust their discomfort, especially related to their physical safety and that of others. His discomfort should be taken seriously, as it highlights one reason that physical punishment is not the best way to try to change children’s behavior. While I understand why you do not want to judge your friend’s parenting, it may be negatively impacting her children and their family environment. I think there are several ways to respond. First, make sure your child feels safe around your friend and her child. This may mean that you do not leave him alone around this mom. Second, if you are close friends, it may be best to give her some honest feedback about why your child cannot have play dates alone at her house anymore. 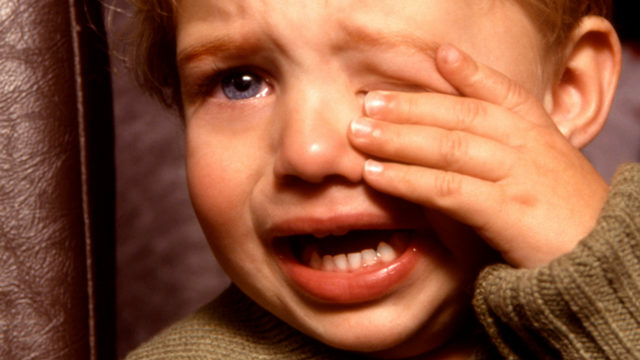 You may want to gently mention to your friend that your child was scared when she spanked her child. You may also want to tell her that your son’s reaction made you wonder if her child is also scared when he gets spanked. Third, you can empathize with her about how challenging parenting can be when children are misbehaving. Giving her an outlet to talk with you may help her feel more supported and interested in exploring other options. In February of this year, the American Psychological Association released a policy calling for alternatives to physical punishment. They cited scientific evidence that shows physical discipline of children by parents or caregivers can harm children’s mental health and possibly increase their aggressive behavior. While it may sometimes work in managing the behavior in the short term, the long-term effects are not going to provide the results your friend desires for her children. Over time, spanking and other physical discipline actually increases children’s problem behaviors, regardless of race, gender, and family income. Parents who spank or use other methods of physical discipline often do so because they are struggling to manage their own emotions. Physical discipline is frequently a way for parents to discharge their anger. It is often used when parents feel they have no alternatives or have run out of options. These parents may have been the recipients of spanking themselves and did not experience other methods of discipline. Physical discipline may also be employed as a quick response when parents do not have the energy or time to engage more fully with their child or to attend to their own emotions before responding. We do not want our children to learn to handle their emotions by hitting or taking it out on someone smaller, younger, or more vulnerable. Not only does spanking model poor emotional control, it also leaves the child without an adult to help them organize their feelings – and once they are calm, develop a strategy to change or accept the situation that upset them. There has been a lot of research on parent-child attachment and neuroscience of caregiving in the past two decades. It shows the importance of parents being attentive to children’s needs and emotions as one of the most important ways to raise healthy children. When children are fearful of being hit or of being yelled at (or of their parents in general), it is detrimental to their relationship with that parent and how the child views the world and other people. Children do not feel safe when parents appear to be mean or overtaken by their negative emotions. The flip side is true as well. Parents who are wishy-washy about discipline or let their children run the household come across as weak. When parents do not exercise their parental role, it can be frightening to children because the world may feel too big and scary when they do not have someone to watch out for them and lead the way. Children develop a more secure attachment with their parent and have better future outcomes when parents are able to be both in-charge and kind at the same time in a way where children feel safe, secure, loved, and protected. of discipline. Please look to this space next month for resources and my recommendations. Jera Nelson Cunningham, PhD, is a licensed clinical psychologist, independent contractor at Partners In Parenting, and mother of two children, ages ten and thirteen. She specializes in therapy with children, families, and couples, as well as, conducting psychological evaluations. Dr. Cunningham lives in Mechanicsville with her family.